MCN’s Sports Desk rank the five riders who have impressed them most in the MotoGP World Championship during the 2017 season. 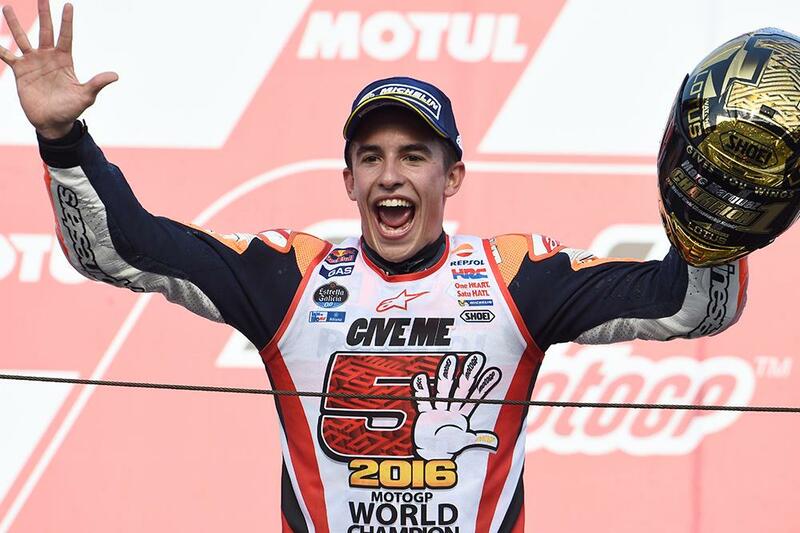 When we first lined up on the grid for the start of the 2016 MotoGP season, it looked unlikely that Marc Marquez would be, for the second year on the bounce, much of a title threat. Both he and teammate Dani Pedrosa (backed up by satellite Honda riders like Cal Crutchlow) had spent winter testing bemoaning the lack of improvements to an RCV213 that had mutated from gentle and balanced into an angry beast of a bike. That makes it even more unlikely that we’d see the 23-year-old take an incredible third premiere class title – but that’s exactly what he did, by bringing a whole new mentality and maturity to nearly every race of the season. Gone was the ‘win it or bin it’ Marquez of the past, instead replaced by a racer aware of the limitations of bike, tyres and rider himself, prepared to settle for the points when the win wasn’t possible but still capable of pushing as hard as anything (when he knew it was safe to do so). And by doing exactly that, highlighting where he knew he could win (think Aragon and Motegi) and cruising to safe finishes at other places (in the rain at Assen probably being the best example), he got the best out of the bike by riding around it’s limitations. In fact, in the end the only real mistakes that came all season came when the pressure was lifted, as he lifted the title at the Japanese Grand Prix and promptly celebrated by crashing out of the next two races in Australia and Malaysia! And with a rapidly improving Honda for next year, added by a much more rider-friendly big bang engine, his title rivals are bound to be quivering in their race boots already. It’s oft-said that you can teach a fast rider to stop crashing, now that Marquez has learned the trick he’s going into 2017 as not only defending champion but as a clear favourite to retain the crown.